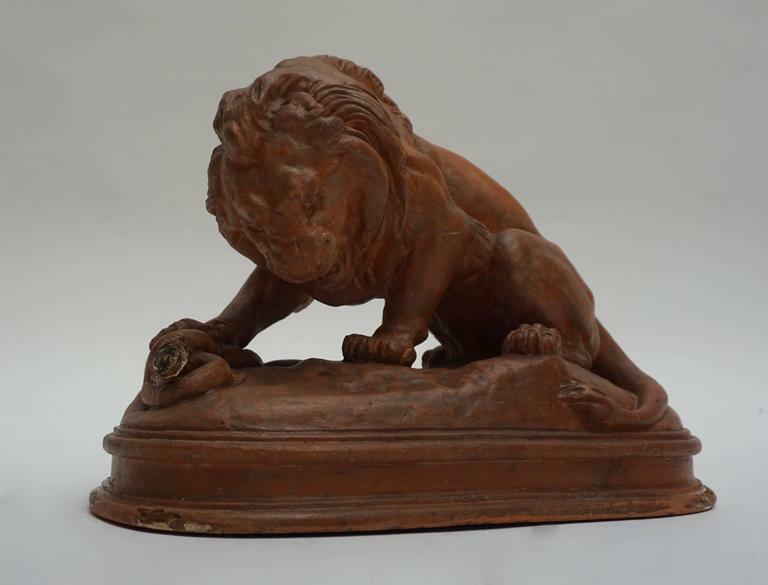 Terracotta lion sculpture. Measures: Width 34 cm. Height 25 cm. 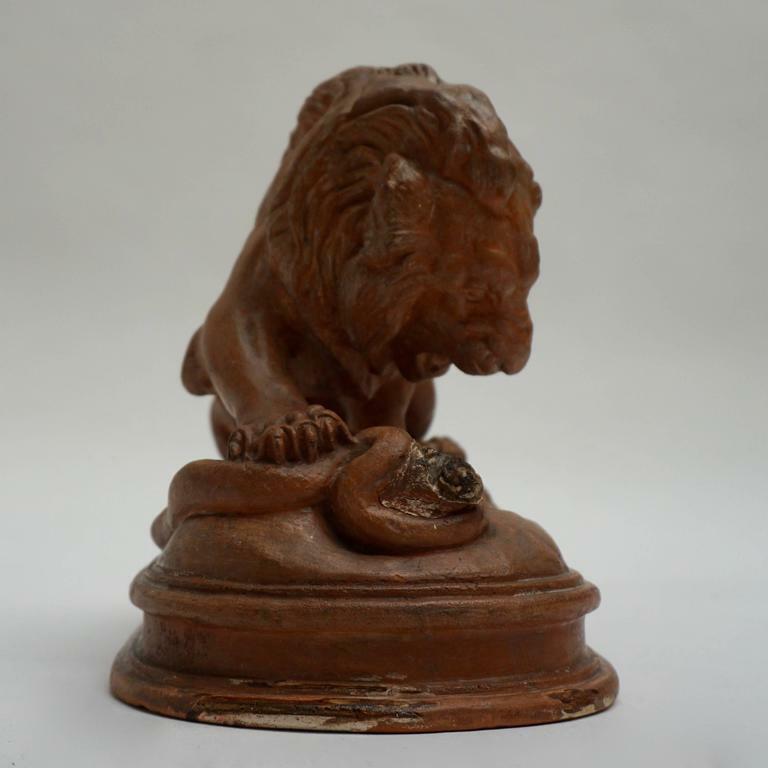 The snake's head is damaged. 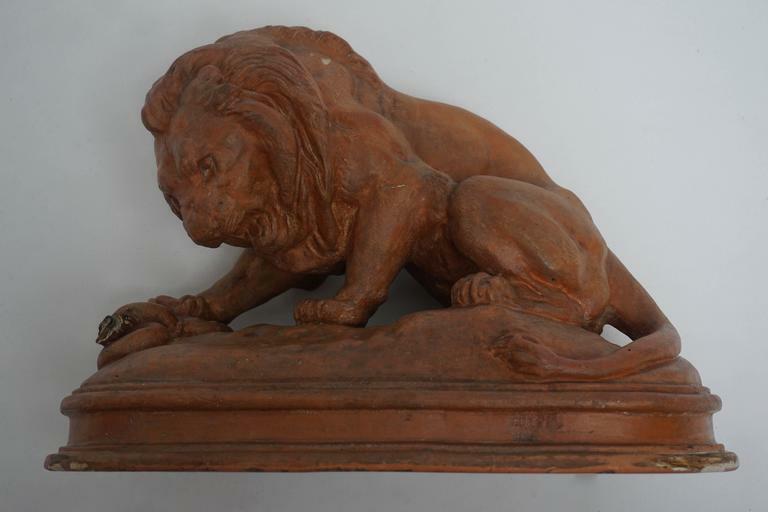 Art Deco terracotta lions mounted on rocky rectangular plinth. Signed. Measures: Height 45 cm, width 67 cm, depth 30 cm. 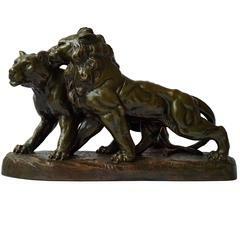 Terracotta sculpture signed. Measures: Height 24 cm. 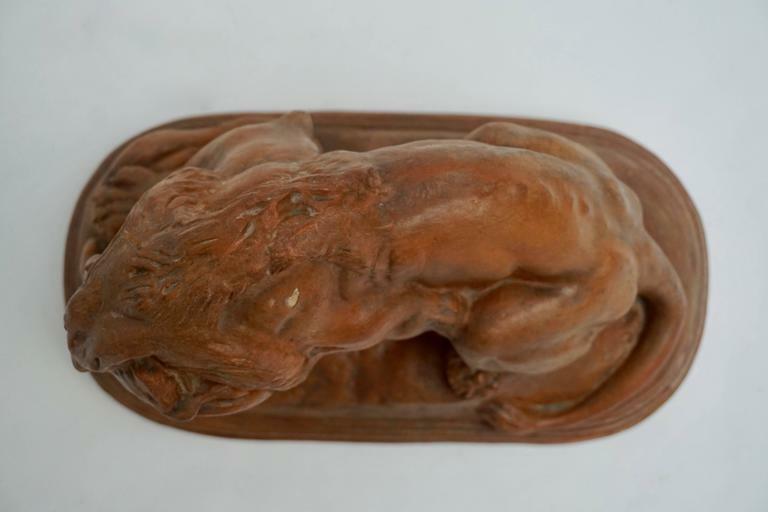 Width 23 cm. Depth 12 cm. 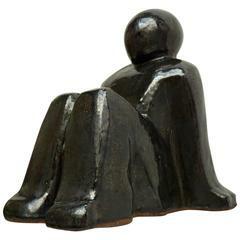 Terracotta sculpture of a sitting man. Signed. Measures: Height 31 cm. 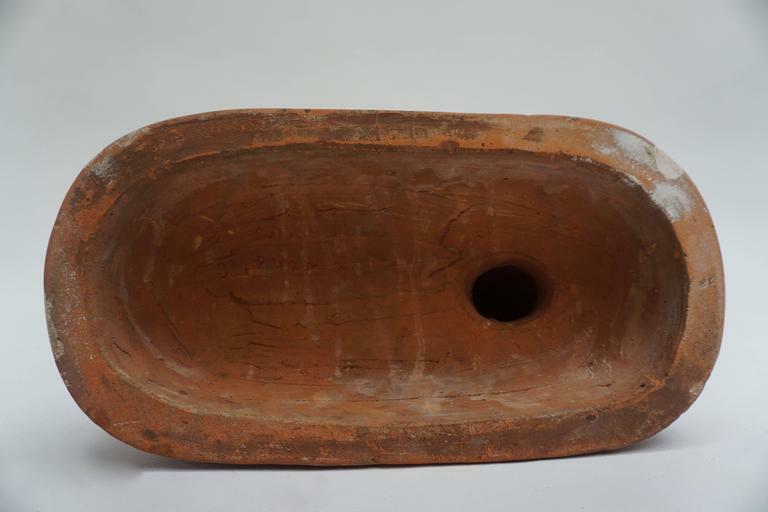 Width 25 cm. Depth 28 cm. 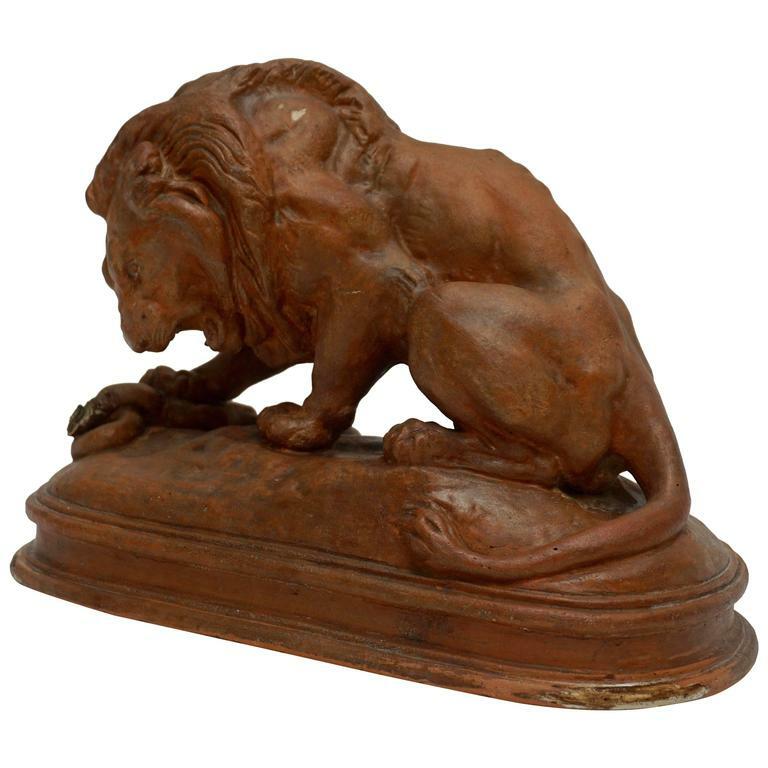 Strikingly handsome seated Italian terracotta lion. 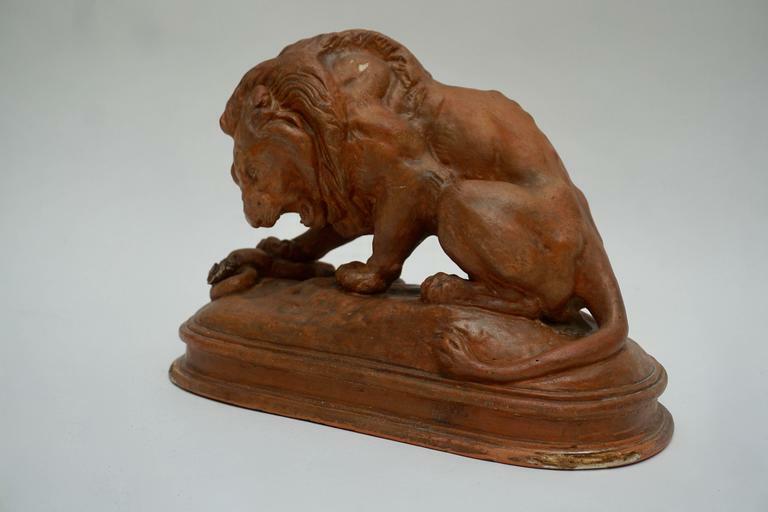 At one time painted white, but paint has faded and been lost, leaving him with a lovely patina. 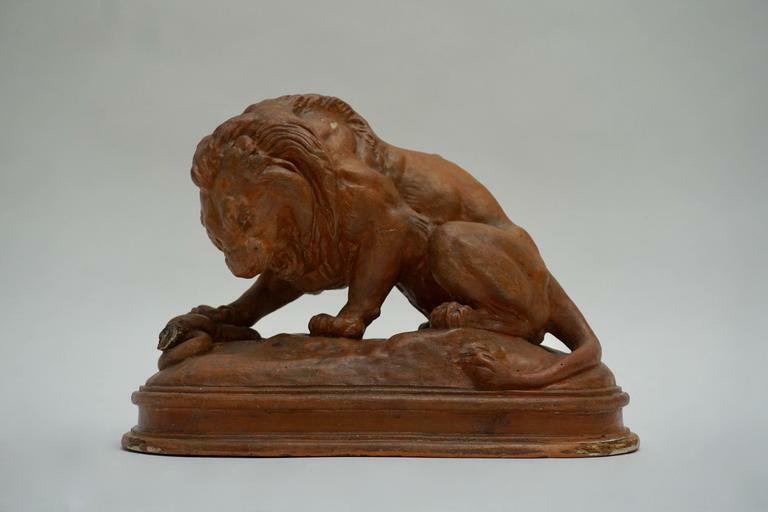 Pair of Italian terracotta lions, circa early 20th century. Beautiful penguin sculpture with irregular enamel finish, almost covered in black and white, green eyes. Presents a crack in the lower part (part of the creation process). Anonymous.